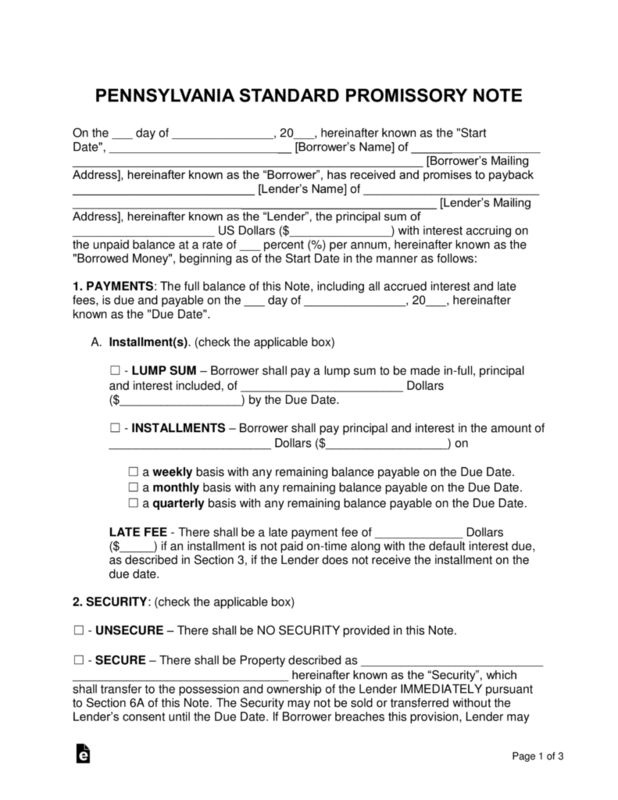 The Pennsylvania promissory note templates are signed promises stating that the borrower of a monetary balance will reimburse the lender of said monetary balance in a timely and structured fashion. The templates offered below also detail the penalties for missing or being late on payments, which should be clearly understood by the borrower to ensure payments are made correctly. Secured Promissory Note – Includes a section called ‘security’ which protects the lender from serious financial loss by granting him or her an item previously put into security (by the borrower) if the borrower defaults on the note and cannot recover. 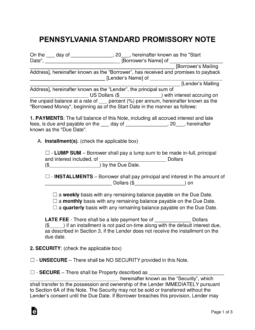 Unsecured Promissory Note – Does not include a section on security. The lender should have complete trust in the borrower’s payment abilities, as if the borrower defaults on the balance, the lender is not guaranteed a reimbursement on the loan.